The mutation that started it all! 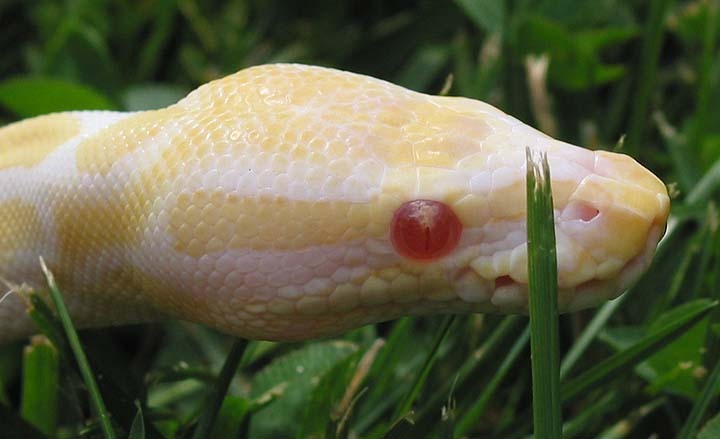 Albino Balls lack all dark pigment. 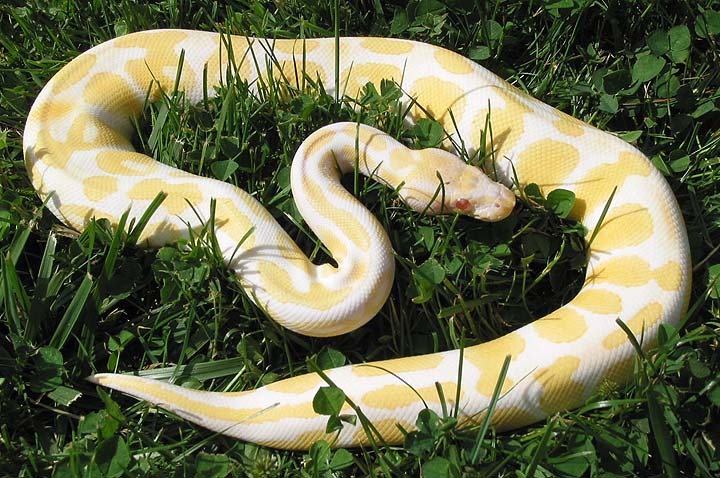 When you take away all the melanin (dark pigment) out of a black, brown and white snake you are left with a yellow and white snake. I'm currently working with 2 different bloodlines, both of which are High Contrast (high Orange). The first Albino produced in Canada was totally unintentional on my part. 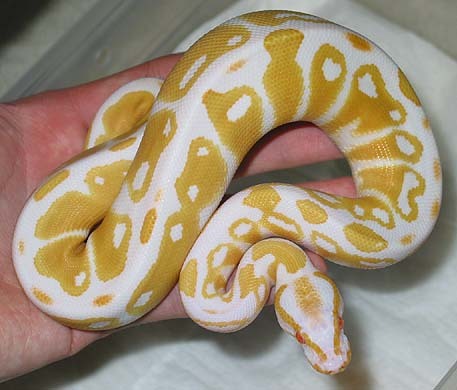 He was produced from breeding a pair of het Caramel (T+) Albinos together. Apparently the little guy didn't know he had the wrong paint job! The other albino I'm working with has a Black Stripe. 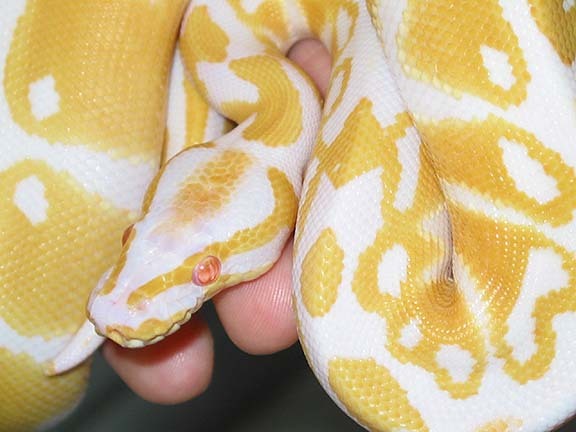 The Black Stripe has turned white thus making him a "White Back" albino. The genetically diverse animals I'm working with have proven to be very stronger feeders thus making the resulting hets very strong feeders who thrive in captivity.